Orlando, FL – September 15, 2017 — Everyone is invited to take part in the sunniest and funniest street celebration in Sesame Street Live! Let’s Party!The inaugural production under Feld Entertainment’s new partnership with the non-profit educational organization, Sesame Workshop features favorite Sesame Street pals Elmo, Abby Cadabby, Big Bird and more in a brand-new sensory adventure live on stage. Sesame Street Live! Let’s Party! visits Orlando, FL on November 4th – 5th for three performances at CFE Arena. Tickets are on sale now. 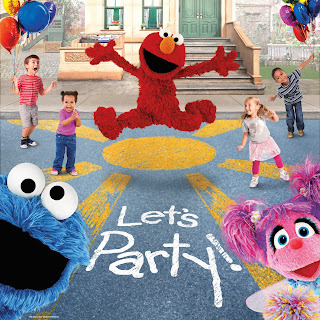 From the moment the curtain rises, parents and children alike will be on their feet dancing along to a pop-infused soundtrack with newSesame Street friends and live emcees Casey and Caleb. Planning a party isn’t easy when everybody has a different idea of fun, but with some help from the audience, it becomes the ultimate reflection of what friendship plus teamwork can accomplish. Party guests will sing along to new and familiar songs, like “I Love Trash” and “C is for Cookie,” with Oscar the Grouch and Cookie Monster; dance to the beat with Elmo; explore a wintry wonderland when Abby Cadabby’s magic goes awry; take flight with Big Bird to learn about some of his fabulous feathered friends; and discover new cultures in an interactive Spanish lesson with Rosita. A unique, up-close-and-personal pre-show experience will be offered at an additional charge prior to select performances, allowing families the opportunity to tour the on-stage neighborhood of their favorite, furry friends before they arrive for the main show. The fun doesn’t end there. A variety of interactive activities give children the chance to create, discover and learn as they help decorate for the upcoming party. Celebrating its 10th year (2007-2017), the Spectra managed CFE Arena is home to the UCF Men’s and Women’s basketball programs, as well as concerts, family shows and other attractions for the Central Florida area. Visit www.CFEArena.com for more information on upcoming events.